C'mon it's been at least a couple of weeks since we last posted about jewellery so we'll keep this short. 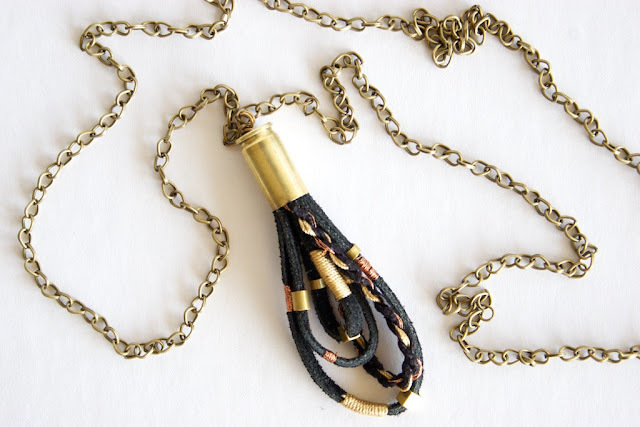 A deconstructed bullet with thread art mixing the soft and hard resulting in a great and unique necklace. Available here.